P.S. Let’s close on a more upbeat and entertaining topic, which is the bipartisan mockery of politicians. I shared a very funny post about American leftists escaping to Canada after the Tea Party election of 2010. 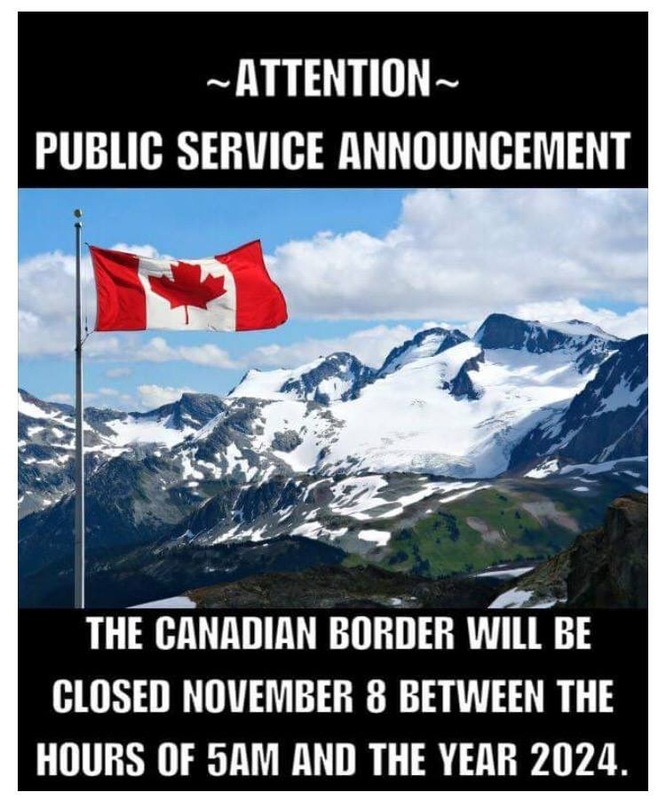 Here’s some related humor about Canada closing the border for the next eight years. One unfortunate aspect of being a libertarian is that you’re almost always unhappy about whoever becomes President. Indeed, I’ve only been pleased with one President who has served in my lifetime. So I’m not overflowing with sympathy for Republicans who were unhappy after the 2012 election. And I’m similarly immune to feelings of empathy for Democrats who are unhappy about this election. 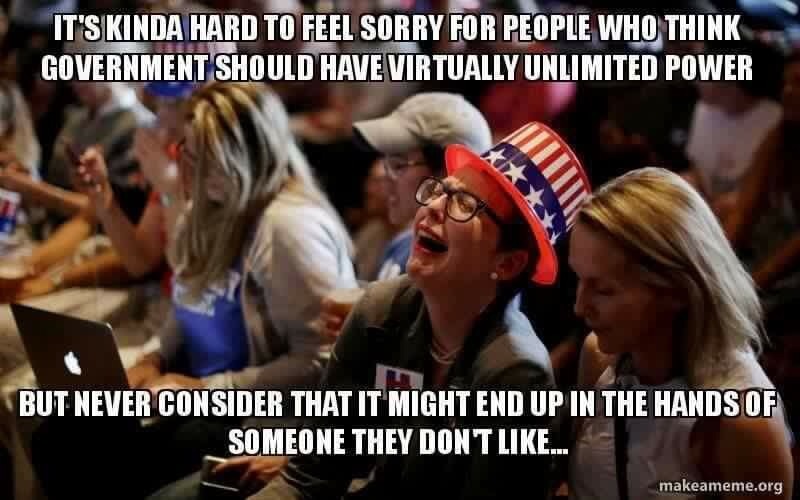 Especially the leftists who are engaging is hysterical hyperbolic histrionics (how’s that for alliteration!) about Trump. Here’s some great satire about the millennials protesting against Trump’s victory. As anti-Trump rallies nationwide turned hostile overnight with widespread reports of violence, looting, vandalism, and death threats against the president-elect and his supporters, police in numerous major cities were able to instill calm and regain control by handing out participation trophies to all millennial protesters who were enraged about losing the election, sources confirmed. …“It’s a foreign notion to them. Even in sports—win or lose, everyone won, and everyone got a trophy no matter what. This is the millennial way,” he said. “So I had the idea—hey, why not start handing out participation trophies to the protesters, and telling them ‘Hey, you know what? You may have lost the election, but look—everyone gets a trophy. Everyone’s a winner.’” Seeing how the trophies had an instantaneous calming effect on the millennials and filled them with a sense of fulfillment and achievement, word spread quickly among police departments nationwide, and emergency trophies were procured by the thousands for use at the rallies. Speaking of which, here’s an amusing image that has a serious message. I agree with leftists who fear that Trump may abuse the vast powers of the federal government. But they supported Obama’s dubious expansion of executive power, so they don’t have much credibility on the issue. 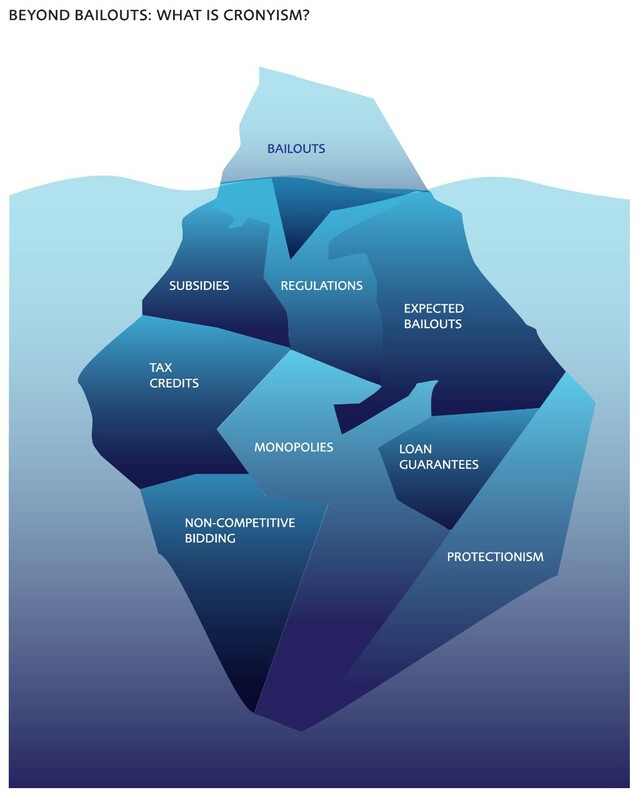 Reminds me of this clever poster that the Libertarian Party created to mock the Occupy crazies.